RAPAPORT... De Beers will begin selling laboratory-grown diamonds under a new fashion-jewelry brand, promising to transform the synthetics sector by offering pieces at low cost. The company has launched Lightbox Jewelry, which will begin marketing a new brand of lab-grown diamond jewelry in September, it said Tuesday. Diamonds from Lightbox will retail from $200 for a 0.25-carat stone to $800 for 1 carat, and will include white, pink and blue diamonds set in earrings and necklaces. “Lightbox will transform the lab-grown diamond sector by offering consumers a lab-grown product they have told us they want but aren’t getting: affordable fashion jewelry that may not be forever, but is perfect for right now,” said De Beers CEO Bruce Cleaver. “Our extensive research tells us this is how consumers regard lab-grown diamonds — as a fun, pretty product that shouldn’t cost that much — so we see an opportunity here that’s been missed by lab-grown diamond producers,” he continued. Lightbox will offer transparency about lab-grown diamonds that is currently lacking, added Steve Coe, the general manager of the new brand. 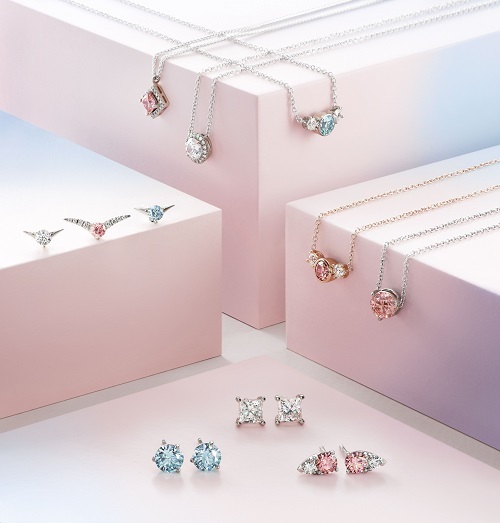 The brand will debut in the US, becoming available initially to US-based consumers through Lightbox’s e-commerce website, with De Beers planning to announce retail partnerships in due course. All its lab-grown diamonds weighing 0.20 carats or higher will carry a permanent Lightbox logo inside the stone that is easily visible under magnification, identifying it as synthetic. Element Six, De Beers’ synthetic-diamond technology company, will produce the stones, with Lightbox being the only jewelry brand to source lab-grown diamonds from that unit, which has been synthesizing diamonds for industrial purposes for decades. Those years of investment in research and development have enabled De Beers to offer lab-grown diamonds at a lower price today, Cleaver noted. To expand Element Six’s capabilities, De Beers will invest $94 million over four years in a production facility near Portland, Oregon, adding to its existing UK-based facilities. The plant will be capable of producing at least 500,000 carats of rough synthetic diamonds per year once fully operational, De Beers said.